Thai-Real.com offers a highly personal service to high net worth individuals, looking to invest in exclusive properties in Thailand. Thai-Real.com is headed up by it’s Managing Director, Nick Thatcher, who personally works alongside every Client. 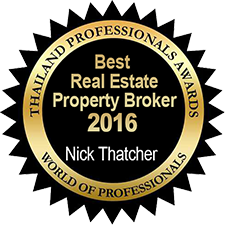 Having moved to Thailand in 2004, Nick quickly became passionate about both Thailand and the real estate market here. Having initially started as an investor, buying and selling land, he has built Thai-Real.com into what it is today. 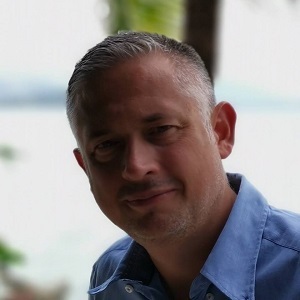 Now married to a local girl and having two daughters together, he operates Thai-Real.com from his base on Koh Samui Island. Nick is a big fan of fishing and cold beer, ideally at the same time. Most used quote ‘The most expensive advice you will ever receive is cheap advice – pay the right money, to the right people, to do the right job‘. Luxury villa sales: we have a large portfolio of luxury villas in Koh Samui, Bangkok and high end condos and penthouses in Bangkok. Bespoke villa development: for those that would rather design and build their perfect villa, we will support you through the whole process, from sourcing the ideal land, designing, arranging permits, and construction to a high standard. And finally arranging the perfect furniture to suit the property style. Luxury holiday villas: short term holiday rental from hand picked exclusive villas in Koh Samui and Phuket. Hotel sales and developments: we have a large network of contacts in the hotel industry and work in the sales of hotels of all levels, as well as sourcing suitable land plots for development of new hotels. Thai-Real.com – Thailand’s Finest Real Estate is an experienced agency offering only hand picked, quality listings. We offer a wide selection of villas, condos and land for sale as well as the finest holiday villa rentals available in Thailand. Our major focus is currently in Koh Samui, Phuket and Bangkok.